Product prices and availability are accurate as of 2019-04-22 23:47:10 UTC and are subject to change. Any price and availability information displayed on http://www.amazon.com/ at the time of purchase will apply to the purchase of this product. Officially licensed by the NHL Made by Old Time Hockey 101 oz. 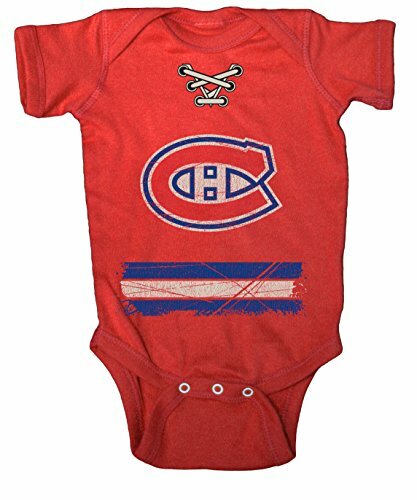 100% cotton Combed ring spun cotton jersey infant creeper with lap shoulders. Full front screen print.